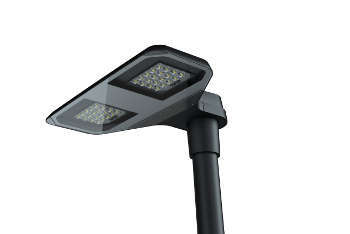 Essex Highways, the partnership between Ringway Jacobs and the county council, has installed six brand-new Philips DigiStreet LED streetlights in Chelmsford in a trial that the council said is likely to result in thousands of the high-tech lights being rolled out across the county. The new lights include an extra ‘universal sensor’ socket built into the lamp at the top of the pole that allows additional devices to be attached, including sensors to collect data on air quality, traffic movements and pedestrian numbers. Ian Grundy, the council’s cabinet member for highways, said: ‘We can be flexible and agile in adapting the devices for future needs – these could include providing Wi-Fi hotspots along key routes and monitoring pollution levels in real-time. The council’s deputy leader, Kevin Bentley, added: ‘If the trial is successful, the options for these “smart” streetlights are almost limitless going forward. Essex Highways is currently using the plug sockets on the trial streetlights to remotely adjust the brightness of the lantern. The new lanterns have the latest LED technology, which uses less electricity. Over the past two years, Essex Highways has installed more than 10,000 LED lanterns. The council has committed funding to upgrade another 32,000 streetlights to LED. How do we future-proof our road networks?